Planning a trip Down Under? A flight from the U.S. can be expensive, so it’s worth saving your miles and getting your ticket for nearly free. It can take as little as 15 months to earn an award ticket to New Zealand, and as little as 18 months to Australia if you channel $1,500 a month through a recommended credit card. We looked at redemption rates for round-trip economy flights from major U.S. hubs on both coasts to Australia and New Zealand to determine which frequent flyer programs offered the best deals. Then we figured out which travel rewards credit cards could earn miles for those programs the fastest. Here’s what we found. JAL Mileage Bank, United MileagePlus, ANA Mileage Club, American Airlines AAdvantage and Alaska Airlines Mileage Plan topped the list for best redemptions from either coast to Australia. Round-trip award ticket prices from the U.S. to Australia. With the exception of Alaska Airlines, the mileage rates are the same for flights from the East Coast to New Zealand. Alaska doesn’t partner with anyone that flies that route, but for 90,000 miles you can get a ticket through Air Canada’s frequent flyer program, Aeroplan. You’ll pay slightly less through JAL Mileage Bank and Alaska Airlines Mileage Plan if you fly from the West Coast to New Zealand. Those tickets cost 55,000 miles and 80,000 miles, respectively. Round-trip award ticket prices from the U.S. to New Zealand. To calculate the amount of time it takes to earn an award flight, we estimated spending $1,500 a month on a rewards credit card. Obviously this could vary depending on how much you spend. It will take less time if you spend more, and longer if you spend less. The figure also assumes that each dollar spent will earn only one mile or point. Many rewards credit cards offer bonus earning categories which give you extra miles or points per dollar spent on qualifying purchases. This could also cut down the time it takes to earn a flight. It’s important to note that every airline charges taxes and fees, and they can vary widely. Some carriers, such as British Airways and Iberia, add excessive fuel surcharges to long-haul flights. They’ve been omitted from this list because of those costs, which can be over $800 for this route. With its outstanding 75,000-point sign-up bonus, the Starwood Preferred Guest American Express card is probably your best bet for earning an award flight to Australia or New Zealand. That’s true for two reasons: You’ll get a 5,000-point bonus for every 20,000 points that are transferred to a frequent flyer program and you can transfer your points to over 30 different airlines. In other words, it’s an extremely flexible card that rewards you for using points with airline partners. With the SPG Amex card, you can transfer points to four of the six recommended frequent flyer programs: JAL, ANA, American and Alaska. That gives you a lot of redemption options to find the best flight to fit your schedule. SPG also transfers to United, but at a rate of two points to one MileagePlus mile it’s not a good use of your points. Unfortunately, you’ll only earn bonus points at Starwood properties. All other purchases earn one point per dollar. As most travel hackers will tell you, Sapphire is a great all-around travel credit card. It would’ve made the top spot with its 50,000-point sign-up bonus and double earning categories, but the Ultimate Rewards program transfers to only one frequent flyer program on our list, United so this card takes second place because it is not as flexible. If you plan to book through United MileagePlus and fly on United, Air New Zealand or Air Canada, this is the card to get. And if you spend a fair amount of money on travel and eating out, which earn double points, you can cut down the 21 months it would take to earn an award flight. 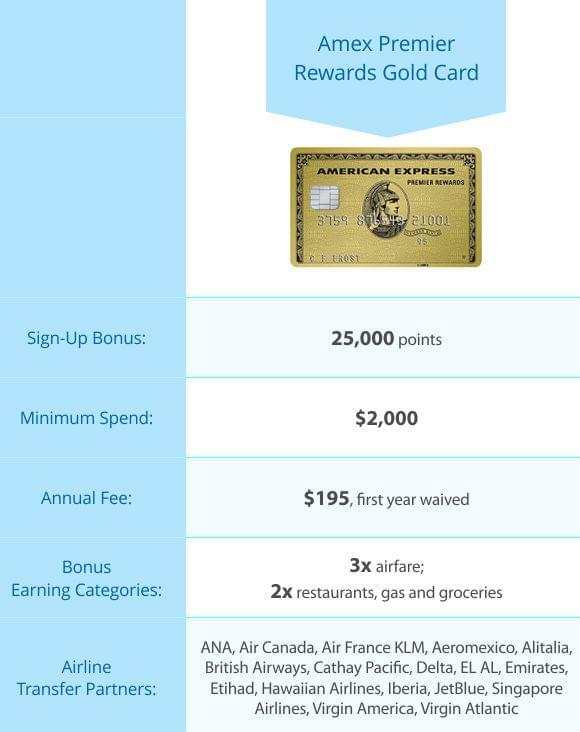 The American Express Premier Rewards Gold card is also a great credit card with generous bonus earning categories and a lot of redemption options. You can transfer points to 17 frequent flyer programs through American Express Membership Rewards. Two of those programs made our list, ANA Mileage Club and Air Canada Aeroplan. This card is the best option if you want to minimize the cash cost of your award flight since ANA has the lowest fees on tickets to Australia. You’ll pay only $30, compared to $110 for the next cheapest program. Two co-branded airline cards round out the best five cards to get for award flights to Australia and New Zealand. 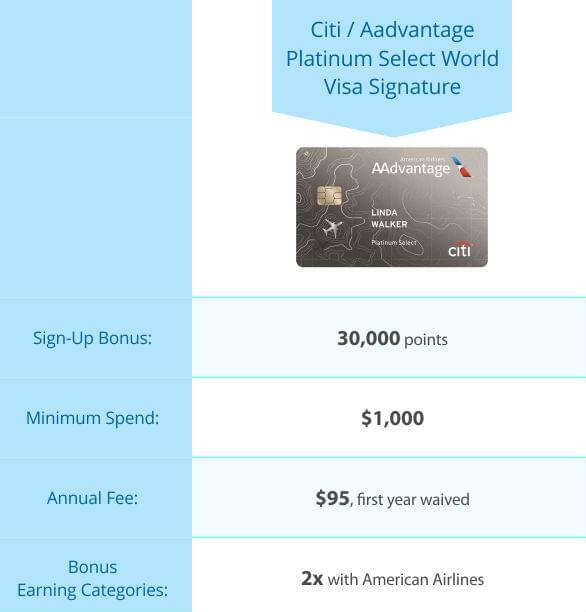 Both the American Airlines AAdvantage Platinum Select and Alaska Airlines Visa Signature cards come with slightly higher sign-up bonuses than either the SPG card or the Amex Premier Rewards Gold card. These cards didn’t rank higher because they offer no flexibility when it comes to redeeming miles. They’re tied to only one frequent flyer program. If you can’t find the flight you want, you’ll either have to hang on to those miles for a different trip or change your travel dates and hope for the best. Both of the airline cards give you a free checked bag and priority boarding, plus bonus earning for purchases made with the carrier. The Alaska card comes with an annual companion fare, which allows a family member or friend to fly with you on a domestic round-trip flight on Alaska for only $99. That’s an excellent perk that can be worth hundreds of dollars. The AAdvantage card gives you back 10 percent of the miles you’ve redeemed during the year. The SPG Amex card is great because of its flexibility. You’ll have a lot of redemption options for award flights to Australia and New Zealand, making it easier to find award seats on the dates you want. 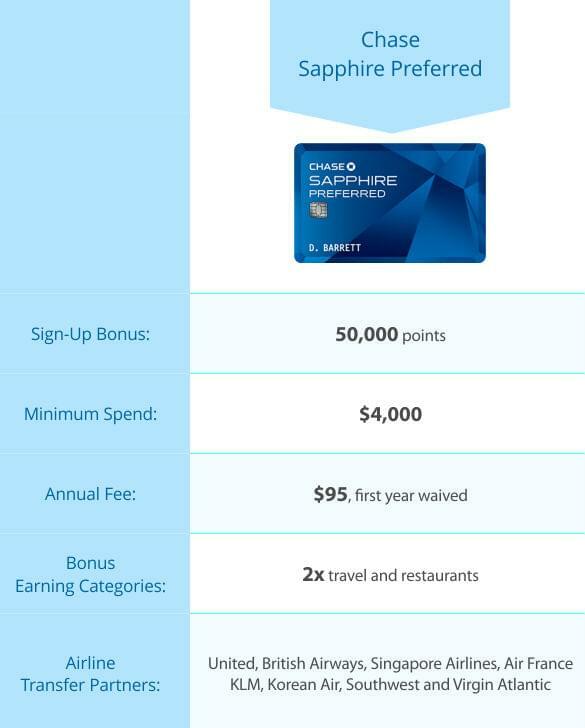 The Sapphire Preferred and Amex Premier Rewards Gold card also offer some flexibility since you can transfer your points to several different frequent flyer programs. While many of those programs don’t offer the best redemptions to Australia and New Zealand, some of them do. And you’ll have plenty of options for using points in the future if you decide to keep the cards after your trip. These cards also have great bonus earning categories, which will boost your points balance faster. 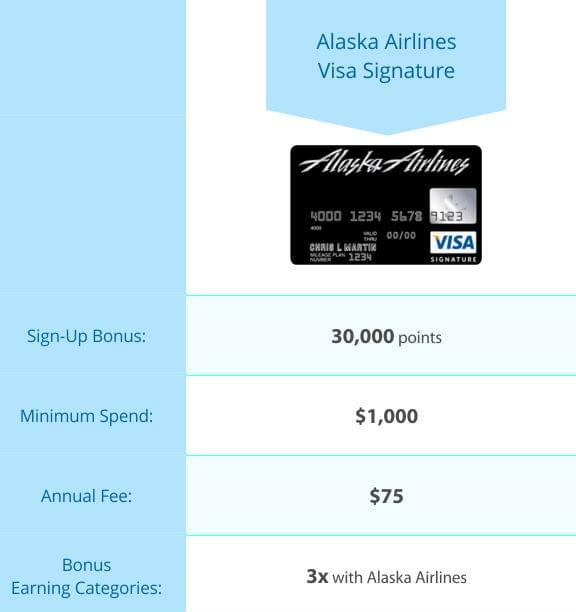 If you already have all three of those cards, but you still want a decent sign-up bonus to reach your goal fast, consider either the Alaska Airlines Visa Signature or Citi / AAdvantage Platinum Select. Both are solid co-branded airline cards associated with frequent flyer programs that can get you to Australia and New Zealand with a minimum number of miles.